IBS Intelligence - Blog: Forget FinTechs, here come RegTechs! You’ve just familiarised yourself with FinTech. Now it’s time to take a look at the innovation that rocked London 2016 FinTech Week: RegTech. The ambition: to manage all regulatory aspects, from the determination of ratios to risk mapping and KYC management. Regulatory inflation: According to the European Commission, state aids for the financial sector have reached Euro 4,100 billion in the wake of the subprime crisis. 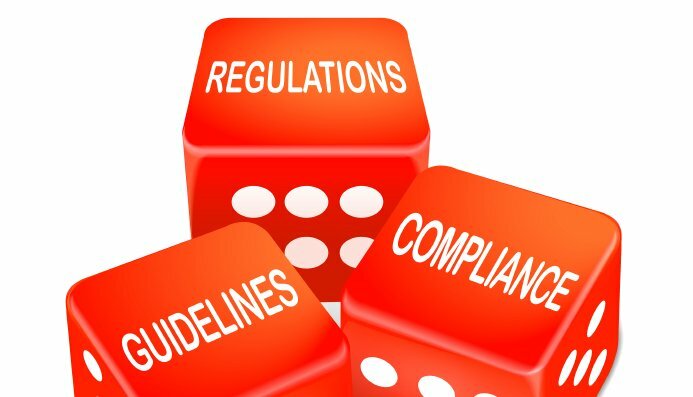 Following this ‘trauma’, the amount of regulations represented by acronyms ranging from three to nine letters has increased significantly: FATCA, EMIR, FINREP, COREP, AEOI, ECKERT, ANACREDIT, etc. leading to an unprecedented challenge for financial institutions. New entrants, new requirements: New banks/payment institutions (Nickel Account, N26, Monzo, etc.) have a strong appetite for outsourcing. RegTechs and FinTechs have complementary business models allowing each actor to focus on its core activities. Thus FinTechs may be tempted to get rid of constantly evolving compliance issues by outsourcing them to specialised operators. Increasing the reporting pace: Deadlines for COREP and FINREP shortened from 2 months to 30 days with a frequency rise for other reporting (LCR’s monthly deadline, for instance). Consistency need: The need to ensure the consistency of all data submitted to regulators reinforces the position of RegTech. The objective is to avoid mistakes that could be penalised by the regulator. This challenge is acute for entities combining several segmented information systems and without a consolidated financial database. Constant evolutions: Regulatory evolutions require frequent updates of the systems originally implemented. For instance, the European financial reporting (FINREP) has been updated several times, while other regulations requiring KYC approaches (anti-money laundering, FATCA, etc.) are increasingly demanding vis-à-vis data quality. Reactiveness: To respond to changes and developments within a short period of time, with the ability to quickly update the software according to new regulations at little cost. Consistency: To centralise and reconcile accounting and management data to present consolidated information to regulators. In France, the regulator fined several insurers for non-compliance with the Eckert law. To avoid these pitfalls, banks have decided to build up consolidated financial databases in the last few years (i.e. ARPEGE, Crédit Agricole). Flexibility: Customers want to pay for what they consume and have a monthly fixed amount enabling them to get additional offers depending on their needs (market studies, product zooming etc.). This is SAB Services logic (SaaS and BPO). Added-value: This may be the most innovative aspect of these new firms. They do not plan to confine their activity to reporting issues but aim to enter the most innovative aspects of information management from top to bottom (such as Big Data, Artificial Intelligence, etc.). The centralisation of banking data (accounting and management) should enable RegTechs to invest in Big Data. The goal is to provide targeted information to improve decision-making by adding the compliance perspective (credits provision, equity ratio, etc.) to each step of the operational processes (credit instruction etc.). In the near future, we can assume that every decision made by an employee will be taken according to the group’s interest at a specific time. Furthermore, the emergence of Artificial Intelligence is at the heart of the upcoming changes. Concrete uses concern the processing of databases set up to meet regulators’ requests (FATCA, AEOI OECD etc.). Automated and intelligent screening of these bases would permit quick targeting of clients or counterparts likely to be involved in international scandals to anticipate risks and canalise them upstream. In practice, customised and targeted alerts like Reuters would ease and fasten this decision-making process. In short, RegTech seem to offer new and reactive solutions that will surely cause challenges in terms of interfacing, confidentiality and data management (cloud). Nonetheless, several interrogations remain: first, to what extent RegTech’s added-value will constitute a game changer. Second, how these new players will react to a ‘regulatory deflation’ and how sustainable is their business model? Ultimately, current regulatory environment and technological evolutions constitute strong incentives for new players to emerge and respond to the twofold issue faced by bankers: to reduce costs and to control risks in real-time.